B-rouchka's sewing: What Is Your Security Stock Level? I always lived in a house full of fabric. My mum never threw any piece of fabric (well, she never threw anything in general), so sewing for my dolls meant there was always a lot of choice. 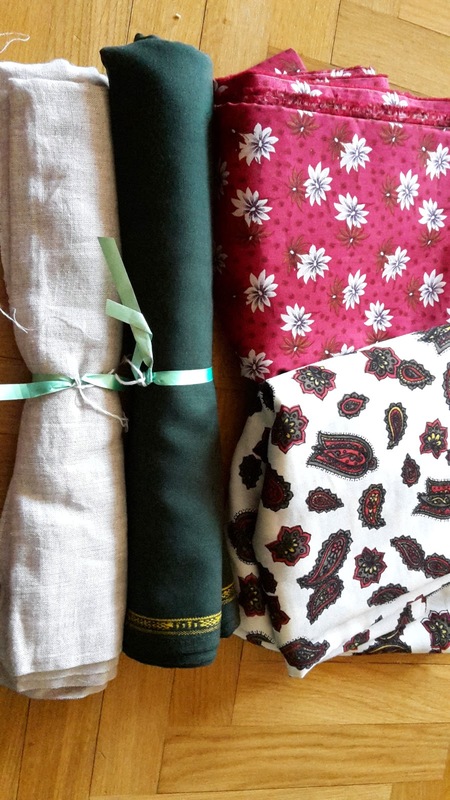 When I started sewing again a year ago, I did not have a single piece of anything even related to sewing at home, apart from white and black thread used for occasional reparations, so unconsciously, I felt obliged to build a certain basis stock. However, probably as any other sewist, I stock more quickly than I sew. Since my fabric stuff is stocked on several places in our apartment, I keep track of all my fabrics, with material, quantity and its price (I also calculate the price of each of my creations). This not only helps me to find the appropriate fabric to my projects quickly, without undoing all my fabric drawers, but also gives me a clear view of the total stock quantity. Three weeks ago, I realized that I had not gone fabric shopping for three months, almost unthinkable, I KNOW!, but a new job, X-mas and vacation resulted in no time for making a shopping trip. As I did not stop sewing, my stock attained unacceptable lows and I quickly went for replenishing. To be honest, I keep track of items starting at 0,5m (which, in some cases, might be just a rest from another project). I make about 2 projects a month and I sew with fabrics for all seasons (summer – winter – 2 mi-seasons). Based on the observation, I need to have enough fabric for at least 3 months to come. Which brings us to…. 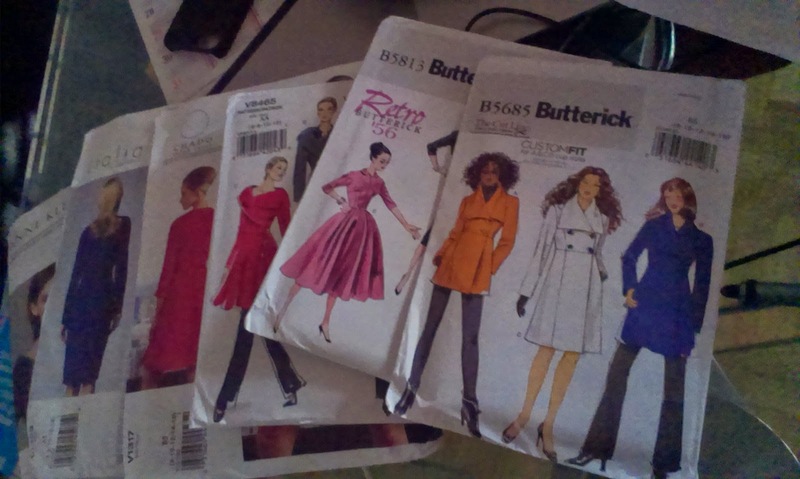 (6projects * 4 seasons) + 7 small pieces … 31 pieces of fabric would be my minimal stock where, on the other hand, I have no choice but to sew only from stash. Not funny, right? That’s why I have gone on a three-weekend splurge to get to a more comfortable stock level: arriving at 60 fabric pieces. What is your security stock level? Or your current stock level? My stock level is very much limited by our lack of closet space, I only have one shelve for fabric, unfortunately (or maybe it is a good thing actually ;)). I used to think I would only buy what I needed for my current project, but lately I have been stocking up a little. I think I have about 10 big pieces of fabric right now.